Get the most comfort and amenities for your tour group with the passenger buses and coaches from Airport Transfer Service! Our tour buses are perfect for groups of 16 to 71+, and you can expect round-the-clock great service from a company that's served the UK for over 20 years. 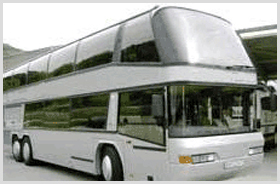 Our coaches feature restrooms, video entertainment, bar, PA system, as well as luxury seating and reclining seats. We do single and multi-day trips to all the top sites. To arrange your group travel, Airport Transfer Service invites you to give us a call at any time for a free quote. We look forward to showing you the glory of England!